Samsung’s virtual reality stunt, which allowed people to swim with sharks in the middle of the desert, is Joss Davidge’s experiential marketing pick of the week. Virtual reality has been around for some time now. And whilst brands have been proving their experiential credentials applying it, there are currently a limited number of virtual reality content pieces available to play on smart phones. That is, with the exception of Samsung Gear VR for Galaxy Note 4, powered by Oculus. Indeed Samsung made waves late last year with the inception of the Gear VR. This technology is consumer-ready and relatively affordable (if you already have a Note 4 (approx. £700)). 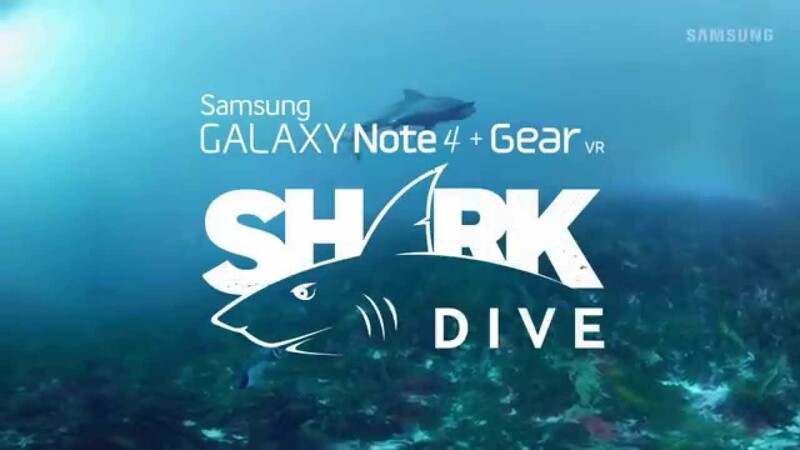 So far there hadn’t been a vast array of examples on how brands can use the new application, but Samsung made it very clear that the possibilities are endless with its experiential #SharkDive stunt. Touting the Gear VR’s ability to make you feel like you’ve entered another world completely, Samsung built a diving shop in the dusty, notably ocean-less outback of Central Australia. Curious visitors to the shop then encountered the last thing they would expect to in the desert – a chance to dive with one of the ocean’s most feared predators. All through the Samsung Gear VR, of course. After heading to a room in the back of the pop-up shop, they each strapped on the Gear VR. And suddenly, they were underwater, immersed by schools of fish, and rubbing shoulders with the most intimidating of sea creatures. The experience was so realistic in fact that many of the participants tried to swim up and away from the predator. Failing that, they end up being eaten by a shark and inside its mouth – gums, teeth, saliva and all. With this extreme and unexpected stunt, Samsung proved to consumers the limitless possibilities of the Gear VR and was a great example of the power of the ‘unexpected’ experience. The immersive footage that the people were watching in the video can also be witnessed in Samsung's Experience stores in Sydney and Melbourne, and will soon be released via Oculus App Store. This stunt is the kind of experience Samsung will want to be letting consumers – and brands, for that matter - know about. But, whilst there have been signs that the Gear VR will eventually support a wider range of Samsung devices, the Gear VR is only compatible with the Galaxy Note 4. So until then, the number of desert shark divers (there’s a phrase I never thought I’d use) will have to remain fairly limited. Joss Davidge is Director of the Unexpected at BEcause, the award-winning live brand experience agency, dedicated to enhancing Brand Love. He also runs free Masterclasses on multi-channel live brand experience. Read more from Joss in our Clubhouse.